Southland Academy: Highlights - CONGRATULATIONS, Shazia Alam! Pictured are Melinda Miller, Program Development Coordinator, 4-H Youth Southwest District and Shazia Alam. 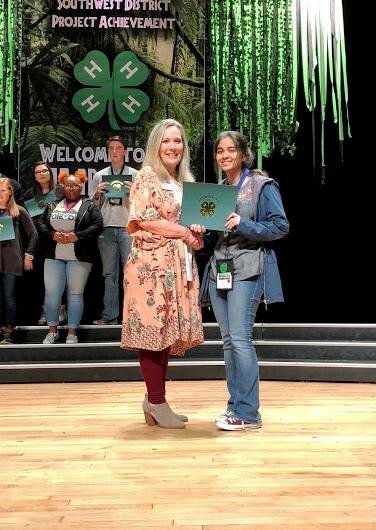 Shazia Alam did an excellent job representing Southland Academy School and Sumter County 4-H at Southwest District Project Achievement held at Rock Eagle 4-H Center February 8-10, 2019. Shazia placed first in the Food for Health and Sport project and advanced to compete at state competition, State 4-H Congress. 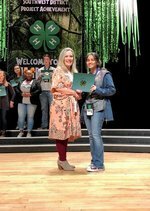 Southland Academy is extremely proud of Shazia and all the 4-H’ers who competed at Rock Eagle.